So how do you know if your circuit is on the edge of stability, just waiting to be tipped over the edge by a slight component tolerance, temperature change, or the Phase of the Moon...? and then there's that bugbear everyone like to pretend doesn't exist, temperature! A blow up of his prototyping style ..
Can anybody recommend me a good tutorial for LTSpice? I really should get around to learning it! Posted by Steve Bench, no less. Gotta love the question about spice just after mentioning a book by Bob Pease . One thing where a simulation is particularly useful, is to perform so called Monte Carlo simulation. You can specify the "randomness" of various things (like resistor and capacitor tolerances etc.) and then simulate, say 100-200 times and see whether the circuit still performs as expected, in all cases. Great start to the blog on stability in loops, but as you opening tags always say "
a blog for any one interested in electronics design". But mostly it is reviews and rants. Don't get me wrong I do like those but I feel there is more rants and reviews than design blogs. Unfortunately when you get to some good meat it is very general. I would have like to see some basic calculations on the response and show a better explanation on why it is unstable. What is going on with the phase of the output and input? Maybe explain to some hobbyist that may not had much school on what is a pole and zero and how there can be multiple poles and zeros that affect the stability. Maybe explain to some hobbyist that may not had much school on what is a pole and zero and how there can be multiple poles and zeros that affect the stability. Control theory for hobbyists? You must be kidding yourself. Also it has been said many times - EEVBlog is not there to teach you the theory. I'd too say that is quite impossible to teach the control theory to those don't know the basics of underlying math, at least one should be familiar with complex numbers for zeros and poles to be meaningful. Imagine this: It can be said that zeros are roots of the nominator polynomial of the transfer function and poles are the roots of denominator polynomial, respectively. And for the system to be stable, it is required that all the poles are in the left half of a s-plane. Complex conjugate pole pairs produce overshooting and oscillating step response, and oscillation takes longer, closer the real part of pole pair is to the zero. And often in a regulator, the poles and zeros move around as the operating point changes. How can you explain that in the layman's terms? But some tips about how one could try to compensate the control loop, would have been nice to show. I tried also the Dave's circuit on the LTspice, and found out that simple series RC from negative input of the opamp to the output of the opamp would probably have cured the oscillation (at least the initial transient looked much better, when simulation included the turn-on transient, too), without any other changes. Here we go again, the standard 2 cent response because I get responses like this to almost every one of my videos! I can't please even some of the people all of the time, everyone wants different things from the blog. If I did the deeper theoretical blog you wanted, I'd get emails or comments complaining it was too technical, too long, or I didn't include this or that, etc etc. It is impossible to please everyone. Also, I have finite time and enthusiasm. In this case I wasn't even going to do a blog that Sat morning (I'm not supposed to do the blog on weekend, so says the wife), but I just thought it would be cool to share how I got the simulation to match the oscillation I was getting, using totally different parts. That usually doesn't happen, so I thought it interesting and I cobbled that video together quickly to please those who want more material! Of course, I'm sure it was useful to some people, and that's good enough for me. I encouraged viewers to go learn more about loop response and polls/zeros if they found it interesting. So please, everyone, no more complaining about what I should have included in a blog, I know all too well what stuff I'm not including, and it really eats me up every time I do almost any blog at all. It's always a trade-off in terms of time, effort, and what I think of at the time of shooting. And I've learned with great difficulty to swallow my pride and just get "something" out there for the masses. And I agree with Armandas and Janne, control theory is not easy to teach, especially at the simplistic level a lot of my viewers expect. If anyone thinks they can then I challenge them to go and do their own tutorial video and see just how much effort is involved, you might be in for quite a shock! As for reviews and rants, well, most seem to like the reviews, and I keep getting endless emails and comments for more reviews! The rants, well, people like those too and ask for more. And the benefit is they are easy and quick to shoot in the limited time I have available. I realise the tutorials are very popular too, but they do take longer and more thought/care to produce. As for the tag line "any one interested in electronics design". 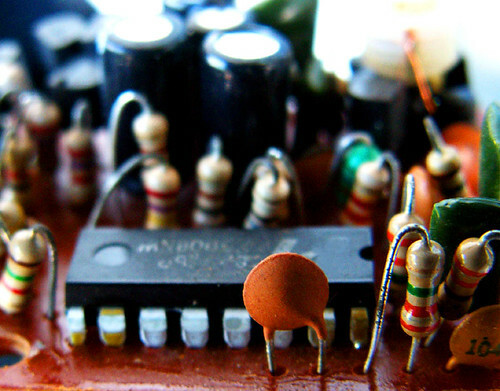 Well, there is more to electronics design than just circuit theory. Many people thank me for the reviews because they actually teach them about good product design. What else can the tag line be? The blog is mix of electronics design, tutorials, some theory, rants, reviews, and various aspects of design and engineering. If it became 100% only electronics circuit theory I'd probably lose 90% of my audience! Sorry I can't please everyone, that's just the way it is. I wish everyone had an understanding of how much effort goes into producing a basic rant blog, let alone a detailed tutorial/theory blog or an in-depth review, all the while trying to maintain and build a diverse audience! I say Dave, do anything you want to do, After all, your idea started the whole eevblog and forum, not our ideas. Posts are simply seeds to initiate interest in viewers so viewers can investigate the issue more. Given time constraints you can neither cover all functions of a device reviewed nor discuss a concept in detail. For example, your tweezer LCR review made me appreciate this Canadian device quite a bit, but for what I do tweezer probes for any DMM works well and at under $10 is very cost effective. Dont be a freak... dont be a freak... dont be a ..
Don't change a thing, I love the blog the way it is I love the practical approach you have and you manage to explain enough to perk interest in different topics without making the whole thing boring. In fact I got my shop hooked on watching it when you put a new one out. Do you have a place to do requests? I would like to see a review on a few of the extech meters like an ex530. It's good to have them all in one place, they get lost when people email me! Yes David dont change the blog its great as it is. discuss here on the forum. Its perfect as it is (my opinion). I'll add my agreement with all who say "Don't change a thing." The E-bay guides I write are FAR, FAR, FAR less trouble than doing a regular video blog,but I understand what Dave means. Anyone making any type of educational and/or entertaining work has to deal with the limitations of the medium, limited time, enthusiasm, etc. as well as considering the broad and varied audience. What I like most about the video blogs, are that they are mostly about "stuff" that crops up in day to day work. There are plenty of places to go where people can learn various technical aspects (although it is always nice to see another person's take on them) but very few places where we get a flavour of an engineers everyday job. Much of an engineer's job is about the feel of things, developing judgement about good, bad and indifferent. The human factors if you like. Not the mathematical or mechanical stuff that most of us learn as students. You are not some marketing man or a virtual lecturer (thank £^"%!) so keep being Aussie Dave Jones. Making things go bang, knocking your glass of water over, and having a good rant now and then! on the whole the blog is very good, if there was more theory I'd be just as happy but at the end of the day it's Dave's blog and its up to him what he does as he devotes a fair amount of his free time to it. Most of my free time these days actually!, certainly during the week. Just a late response I wanted to add. I think the blog is good as the way it is. People that want more theory in this are crazy. I like the video's because it usually throws up a subject for me where I can look for myself into. If people want to know more about switching regulators, go simulate and build some. You don't learn by watching someone else doing it. Having a ton of theory in it is just useless. There a ton of articles around that do that. And I guess better than Dave could; not because he would be lacking any expertise (not at all) but just because of the setting (it's a blog!) and the limited time he has. I find it amazing he can produce a video blog every 3 to 4 days or so.